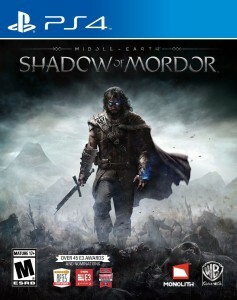 During development on Shadow of Mordor I moved into a more senior technical role. I participated heavily in the design of our Nemesis System dialog while still tackling traditional sound design and implementation tasks as needed. I worked with our audio programmer, Michael Berg, to create a conditional audio system that would allow us to use game conditions combined in various ways to create complex behaviors. Mike spoke a bit about this during our GDC presentation in 2015. The main benefit of this system was that it was extremely flexible and easily tweaked in data without having to depend on a programmer for changes. It made iteration super efficient and ultimately put more power in our hands as sound designers. I leveraged this system to create the dialog behaviors you will notice in some of example videos. 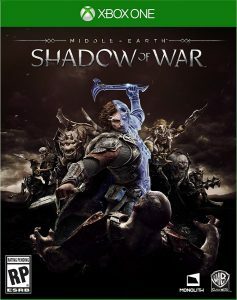 In the game when the player would meet any Nemesis Uruk he would call out and taunt the player. In designing these moments we needed the enemy to be the focal point and have unique personality. In collaboration with design, I was responsible for tuning these until we had the best dialog playing at the best moments. We ducked the ambient audio and added stylized SFX on the camera moves. We used a specific microphone for these moments (Bock 151) to make them stand out. We also had the actors deliver these lines differently using an “eat the mic” technique to enhance proximity effect. In general we kept them sounding intimate and “in your face” so they served as a break from the normal combat sound palette. I added a conditional runtime “helmet” muffling effect to the voices of enemies wearing helmets. Here’s quick video to demonstrate some of these moments. You can hear the variety of voices and the subtle differences in their processing. And here’s a video showing the helmet muffling effect I mentioned above. Since these dialog lines could be spoken by a character with or without a helmet I used a Wwise runtime convolution reverb to achieve the result. I set a simple RTPC to turn on the effect if the guy was wearing a helmet deemed muffle-worthy. Once we settled on our initial category list I began figuring out how to implement these using our conditional audio system. The results of the prototyping informed our decisions on how many variations we needed per category as well as how many orc voices we needed overall. I was also responsible for sub mixing these within Wwise, tuning any attenuation curves and occlusion. I chose the MKH50 mic for these lines so they’d have a more raw, less “studio” feel. Demonstrates enemies responding when the player decapitates or grabs an ally. Calling after the player, responding to a grog explosion, identifying the player is above, etc. Generally speaking I set the Nemesis captains to have a higher priority of speaking if they’re in the area. I wanted to feature these guys more since they show up less frequently. Notice he reacts to the player’s actions by scolding the surrounding Uruk. Nemesis captains general have more combat abilities and can counter certain moves that the player tries on them. In this case if you continue to attempt to jump over the Nemesis he’ll remind you that he’s immune to that attack. This is another example of something I controlled within in data in our conditional audio system. This is just a simple demonstration of the FX we did for the ambient voice occlusion and how it reacted when the player uses wraith vision. It’s a subtle difference but you can hear the LPF turn on/off as the player switches modes. A this is an example of some ambience implementation I did using our Uruk songs. This was essentially “faked” to make it feel like there were Uruks inside the buildings partying and having a good time. On Guardians I again worked on the voice systems and hook design as well as processed and implemented all of the dialog. My other significant contributions were in mixing and reverb implementation. This was also the first project I had shipped using Wwise. The unpredictable nature of this game was a challenge. We had moments that would be almost totally silent and others that were super chaotic. In general we kept things pretty sparse when away from the action and then finely tuned falloff curves and panning to feature the sounds we wanted when things got crazy. Here’s a couple videos that display some of the voice hooks and strategies I used to keep the voices from conflicting with each other. This video shows some of the moments when character would speak. I took on tuning the priorities, cooldowns and delays so that we minimized voices clashing in a such a chaotic game. We chose to make the voices sound like they were “down there” instead of having them sound 2d/close-perspective. Our goal was to make the player feel like they were watching the battle from above while allowing the Announcer to be more omnipresent. As with the character voices I also owned the design/processing/implementation for the Announcer voice. Through collaboration with the design team we created the list of significant moments that warranted Announcer comments. I also worked with our programmer to create the cueing system to address the issue of multiple comment-worthy events occurring close together. I used the Wwise basic auto-ducking feature to make sure the announcer was heard above all else. 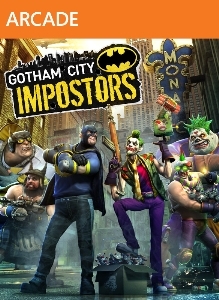 Gotham City Impostors was an online multiplayer title released in 2012. 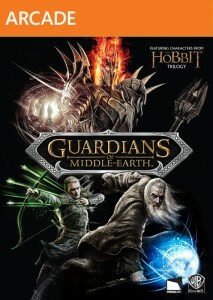 The game had a lighthearted fun comic book feel that we supported through the audio as much as possible. 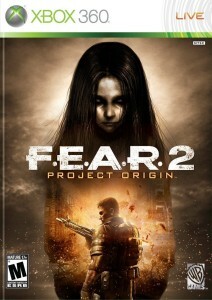 Brian Pamintuan and I were the main sound designers on the project so I took on a good chunk of content creation and implementation throughout. I’ll also note that this was in our pre-Wwise days so the game used Monolith’s proprietary sound engine. Here are some videos that show more specifics of what I worked on. With this gun you would shoot live parrots that latch onto the faces of your enemies to impede their vision. You’ll hear reloads, fire and the yelling parrot projectile sounds. The weapons in this game were supposed to be homemade so I tried to make the jetpack feel like a piece of junk, like it could run out of gas at any moment. There’s a simple start/loop/stop format to the sound assets as well as an extra sound if you run out of juice. The katana sounds I believe came from one of our cartoon library sources. I actually created several “high quality” whooshes but they just weren’t as fun when hearing them in the game. The cartoon ones ended up blending great with the short kung-fu character vocalizations. I owned the ambience on several of the maps and pursued adding life to them since they were actually static. I added things like trains, horns, announcements, leaves rustling, various machines, cars running, crows, birds etc. In most areas there are blends of 2d ambiences with positional loops and one-shots. I was heavily involved in the voice content for the game. I developed hook lists with our design team and processed/implemented all of the files. In this video you can examples of how the voices were featured. You’ll notice that the kill-cam voices were prominent as it was a great moment to showcase character personality. Other moments like getting healed, jumping off of a trampoline, or getting a headshot are also shown. Working our audio programmer and design I helped developed the Announcer callout system that notifies when game events have taken place. There was a mode where you had to pick up a battery and install it in the other teams’ propaganda machine, so we needed the announcer to notify the players as the battery was dropped, picked up etc. Brian and I pushed hard to get these pitch and localization features into the game because we thought they were cool! Our programmer set it up so the players could alter the pitch of the character voices in the menu. I then set the appropriate max/min ranges so the player could tweak things so far that the sound suffered. We also “unlocked” all of the languages so that folks in any country could use any language they wanted. It was cool and helped us get more variety in the overall sound palette. 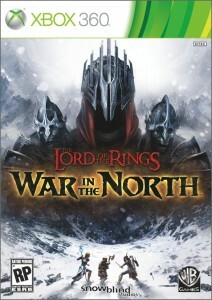 I played a support role on War In The North and tackled implementation of world ambience in several of the maps. We were using a proprietary audio engine that used XACT as an interface. The video capture is in stereo but we had quad streaming content in most areas. This was also supplemented with one-shots and other positional loops scattered throughout.